Cheap Up lighting for EVANSVILLE WEDDING UP LIGHTING AND EVENTS! Are you contemplating NOT using Up Lighting for a Wedding? In a perfect world, where the sky is the limit; I recommend placing 1 Par Uplight every 4 feet. Additionally, in this scenario, I would be putting pars on every wall within the reception room. Lastly, in this same scenario, we would incorporate a DMX controller to change the lighting throughout the night. For Instance, if the wedding has a 3-color scheme and three walls with uplighting, we could assign one of the colors to each wall and then later have the entire room in one of the three colors and fade between the other two, slowly. Most weddings are on a smaller scale and as the budget decreases, the distance increases between each Par Uplight. More often than not, we are placing one par every 8-10 feet. Another option for lowering your overall Lighting expense is maybe choosing only two walls for uplighting. 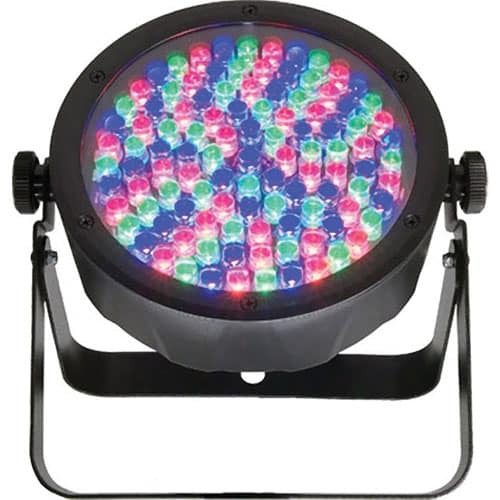 Well, Spectrum Sound is now offering a $189 Up Lighting Package. Now hold on, The $189 Package only gives you 8 Flat Par Up lights, but 8 Up lights can make a great difference and add some very attractive color in your reception room! Full Disclosure: for another 50 bucks we arrive at the venue, set up the lights and are ‘out of there’ in about 30 minutes. Or you can pick up on a Friday and return on a Monday save the $50 which Results in the lower rental charge and thus the $189 8 Par Package! Regardless of your wedding budget I highly recommend saving a portion for Lighting. With our new $189 8-FLAT PAR 64 Up lighting Package, it is more doable than ever. and are super easy to transport and set up. TARGETED ACCENT LIGHTING: This look is for couples who want to add interest with up lighting without breaking the bank. Choose certain areas of your venue to highlight, such as your head table (2 – 6 up lights), or cake table (1 – 2 up lights). 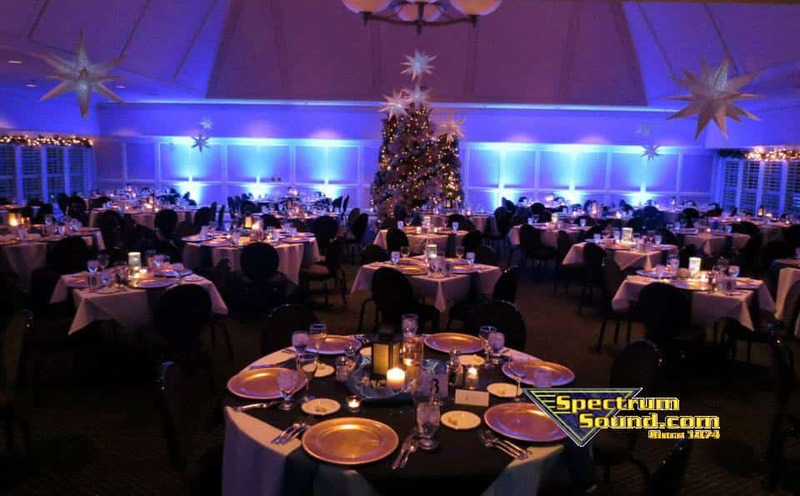 MODERATE COVERAGE: This is the option for those who want to set the mood and create an elegant ambiance with up lighting. Adds a nice overall effect to your venue with moderate coverage. Space lights 10′ apart around perimeter. MAXIMUM COVERAGE: For the “wow” effect, choose maximum coverage. Lighting professionals refer to this as a “color wash.” Basically, every inch of wall will be covered in colored up lighting. This is the icing on the cake for a beautiful venue. Or, use a color wash to transform a drab venue into a modern, chic space. Space lights 5′ apart around perimeter.